What to say. The 2017 vintage is going to be a vintage that will be remembered for years to come. Overall, the conditions were cooler than average and saw ripening on most varieties delayed by up to 4 weeks on normal. In the Swan Valley, the season will be remembered for the high rainfall with 30mm falling in late January and another 70mm 10 days later in February. This saw the Swan River burst it's banks. Whilst Sandalford had no flood damage in the vineyard, the unseasonal weather created challenges in the vineyard. All whites harvested during this period show intense varietal characters. Made from a blend of premium white grapes from both our Swan Valley and Margaret River Vineyard. The grapes were harvested in the cool of the night during February and March. Following crushing and pressing, the juice underwent a cool fermentation to protect their delicate tropical flavours. Fermentation was stopped early, which allowed us to retain some of the natural sugars from the grapes in the wine to give it the desired sweetness. This results in in the lower alcohol content, making this not only fruity and sweet, but also light-bodied in style. All in all a much loved wine which as always should be served well chilled. Growing up on a wheat and sheep farm is not your traditional start to a winemaking career. However, it was driving through the Swan Valley on the way to Perth that started my interest in grapes. They were always beautiful and green quite a contrast to the dry and dusty terrain from the farm. During my final year of studies at the University of Adelaide, I commenced working at Petaluma in the Adelaide Hills, and this seeded my love of Riesling. After 18 months, I decided to explore the world of wine and for the next several years was a flying winemaker, working alternate vintages in both the Northern and Southern Hemispheres. In the north, this took me to France (Languedoc, Cognac & a couple of days in Bordeaux) and many times to Oregon, USA. This is where my love of Pinot was born. Back in Australia, I also explored Margaret River, Geographe, Clare Valley, SA and Macedon Ranges, Vic. 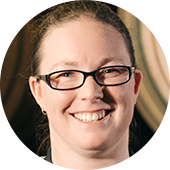 In January 2007, coming back to WA, I joined Sandalford as Winemaker and in December 2012, was offered the Senior Winemaker position. To talk about my winemaking philosophy, is to first understand the vineyards. My role is to let the grapes shine and ensure they reflect the vineyard site they're from. The fruit source for all of our wines, are paramount to their success, and I'm incredibly lucky to have one of the oldest vineyards in Margaret River to work with. Chenin Blanc, Sauvignon Blanc, Semillon, Chardonnay & Verdelho. Tropical fruit salad in a glass. There's a mix of passionfruit, pineapple and guava and sweet orange blossom notes. Just like the nose suggests with tropical flavours in abundance, luscious sweetness without being unctuous and low alcohol really driving home the softness and appeal of this wine. First in best dressed. Subscribe to our news.